Fun cake in the shape of Doc’s doctor bag. 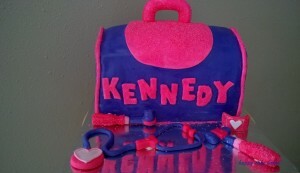 Complete with a few fondant tools! Creating memories one cake at a time!